"For the artist, the focus on self, on personal development and artistic destiny, is a drive that excludes everything else. Normally endowed people living normal lives see it as inexcusable selfishness. 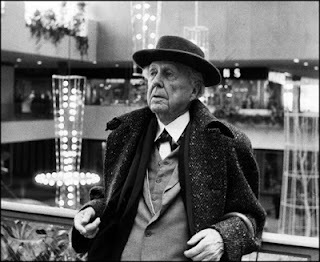 Wright possessed more than the usual quota of talent and narcissism." "Those who change the course of art use any means to convince the world that it needs something it neither anticipates nor understands and rarely wants. Artistic achievement is in large part a function of will; it is rarely a function of character. Critics and writers intent on exposing and condemning lapses in behavior and judgment have turned themselves inside out trying to separate personal morality from the art produced. In the end, it is the art that endures." "And while it is generally known that a writer transforms experience into art, it is less well understood that an architect processes images in much the same way. Instead of reinventing the fabric of life as narrative, like the novelist, the architect is preoccupied with the look and nature of things in the physical world and how they translate into built form." "Architects are not idle in fallow periods - they dream and draw. There is a whole body of work called visionary architecture produced at these times; it ranges from futuristic fantasies to cosmic city schemes. It demonstrates the best and worst of the architectural mind-set - the soaring imagination of the artist, unrestricted by real limitations and conditions, producing designs of great beauty and originality, and the brilliant, often inhuman, socially naive ideas of the utopian planner imposing a rigid physical order on the environment meant to sweep away the mess and ugliness of ordinary lives and places. It is easy to be carried away by the idealized logic of the theoretical urbanism presented in handsome drawings and impressive models, and architects tend to become attached to these ideas with a messianic intensity. But what often appears so attractively reasonable is totally unrelated to the political, social and economic forces that are the true architects of cities." "Wright presented the classic dilemma of the great artist - large in his art, but small in his attitudes - a phenomenon that has always puzzled those who persist in believing that the human dimension should match the artist's creative gifts. They rarely do; character and creativity run on separate tracks. Wright was as vulnerable to bad action and bad judgment as any ordinary mortal." The artist cannot help himself when it comes to self-expression, morals be damned. There is sometimes a thin line between the rudimentary and reactive mere mortality that rules the masses and the eternal art-infused aggrandized genius few possess: the latter tends to effusively sail against the current, more so because their thought is infused with vision, while the former sail through life and are subject only to its natural volatility. Wright certainly enjoyed the ride. A (i) Washington Post article and a (ii) blog post from Overcoming Bias, caught my attention this week. Q. So here is a question every parent might ask. Other than high SAT scores and straight A’s, what does it take to get admitted to Harvard? The challenge at a really selective college like Harvard is finding people who can still find self-esteem in that competitive environment. If you are not the best at anything, life in that environment is not a lot of fun. And every admissions officer who is there a long time, more than a few years, probably had a case or two where he or she pushed someone into the class, only to have it turn out in tears. You learn to look for what we called “translatability.” Do something where you were the best. A kid who got straight A’s and was going to get B’s wasn’t going to work if academic success is how they get self-esteem. So you had to look for people who could come into a very competitive environment, who could still find self-esteem and who in some way, shape or form was still the best at something. What's interesting about Raduchel's take on self-esteem is that he's objectively stating that the candidate doesn't necessarily need to have perfect grades - only a way of still finding self-esteem "in some way, shape or form", while "still being the best at something". Self-esteem is thus deemed to be critical. The message is clear: intrinsic knowledge about self-worth, in a way that can be duly represented and appreciated by external environments, feeds on itself and, will most likely organically perpetuate. The trick is, backing up the fact. Mastering a subject will feed morale and confidence - and Harvard makes a selection based on that specific premise; putting together a class that makes for an interesting academic macrodynamic. A unique collective yet individualized investment for the future. 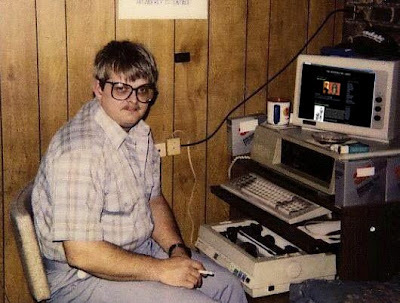 Bill Raduchel says that Harvard kids have to be at least "that" intelligent. It was never the answers they gave. It was the questions they asked. The questions give a much better clue to how a person thinks. Answers can be learned, can be rote. But it’s the questions. Which is why knowledge absorbers and digesters I call Human Calculators and Theory Experts tend to end up as drudges in laboratory basement or corporate minions in cubicle farms. They might not mind it, but that's beyond this particular discussion. Asking questions, and asking brave ones show smarts beyond books, and showcase uncommon character traits, like survivability and grit. I know how to calculate any number's square root. What can you do? 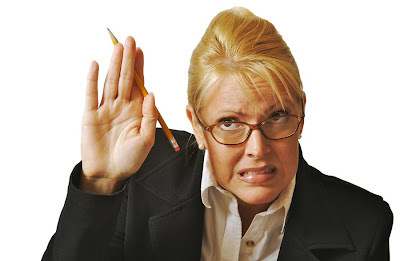 What was it like serving on the admissions committee? It’s incredibly competitive. If you take the job seriously, it’s really stressful, because at the end you realize you are affecting lives. You are making choices that are intrinsically very hard to do. You want to learn about how to work with people, how to evaluate people, how to make great decisions. It was a committee process. Your peers had to vote to let anybody in. If you didn’t get along with your peers, you didn’t get many people into the class. We all had candidates. Some private schools sent large numbers of kids. What you are looking for is trying to put together the best class for the college. That doesn’t mean the brightest. You always had conflicts between kids who are very smart but were not otherwise exceptional and kids who were exceptional but not quite as smart. The data showed kids who did something else but were smart and not exceptionally smart always did better in life and in grades. The cynics would say the reason was course selection. Not exactly sure what the words "smart" and "exceptional" mean here. While the meaning of both words in this context is not 100% clear, the overlying message is. The idea of a candidate making up for above-average intelligence through exceptional talent in other areas, when compared with those that can only count on their superior intelligence, resonates with the current popular opinion that success is not completely correlated with a rising IQ, after crossing a score of 120 (ballpark figure). If you have a good and solid group of friends, college comes down to having the right dozen people around you. And if you find them and prod them on the success, you will do fine. The trick is to go find that group of people. The kids who were smart but exceptional, they look in the mirror and look at themselves and say, I’m in charge. And they act accordingly. Kids who look in the mirror and they see Mom and Dad and the teacher and say to themselves, “What do they want me to do?” — it’s a very different feeling. That’s what you are trying to sort for. Have you figured out how to take control of your own life? Taking control. Defining a destiny. Blasting out fortune-based luck and replacing it with proactive measures. Eliminating intellectual self-defeat and competitive insecurity. Control through shaping fluctuating environments. Structured advance. What Hanson is suggesting takes work. And sometimes people don't like to think. Because their brains hurt. Well, toughen up, and start asking the right questions. You'll end up getting better answers anyway. A Journey into the Brain and the Scientific Method - Is Intelligence malleable? Jean-Paul Sartre famously said: "Hell is other people." That can certainly be understood, when thinking of the pain that is often inflicted by interpersonal relationships (notwithstanding Sartre's true message, which is using the "hell" inflicted on us by others as a metaphor for the metaphysical belief in heaven and hell). Would he also agree though, that "Intelligence is other people."? 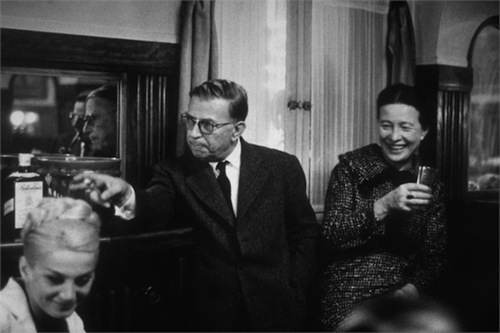 Given his close attraction/association to minds like Henri Bergson's, Simone de Beauvoir's, Alexandre Kojève's and Che Guevara's, there can be no doubt that Sartre's intelligence, could have been considerably stimulated from his influences, and thus continually molded as a result of his exchanges with these and other advanced minds. Exposure to other's intelligence has been stated to start even before birth; the fetus' brain absorbs relevant elements from its surroundings like a sponge, and once the baby is born, the process continues, and neuron connections are quickly formed and strengthened. Relatives generally contribute most, if not all of what the newborn is exposed to. When reasoning starts setting in, and personality becomes more apparent, the brain starts to discern and discriminate, choosing what it wants to focus on, or what it wants to enjoy, and this is when some decide (consciously or not) to nourish the brain and others decide not to. Granted, some child prodigies start absorbing more advanced concepts earlier than most, but one thing remains the same: those that hold a hunger for learning and personal advancement, realize their potential early, capping what's readily available to them in a short period of time. And then there are those lucky enough to have their loved ones identify their thirst for knowledge, after which, if they're even luckier, are quickly enveloped in a stimulating environment. To these minds, where mentors are found wanting, books and other written material become substitutes. 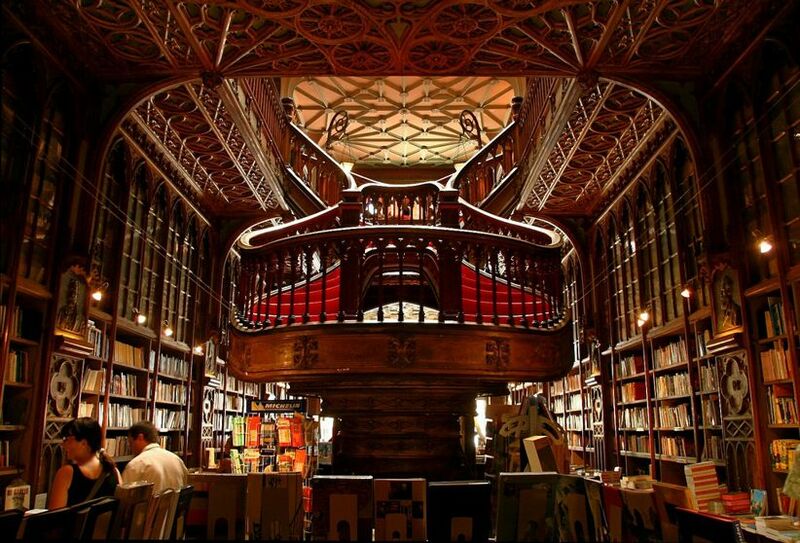 Access to great minds and their great ideas become available in libraries and bookstores. Books --> Great for getting a knowledge fix. 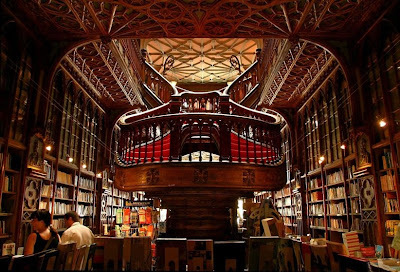 In modern times, brick and mortar bookstores have always functioned as panaceas for knowledge hunters, which makes these stores' dubious survival and slow transfer into virtual realms all the more exasperating. But this fact is irrelevant; a hungry mind will always be a growing mind. And growing minds are great at learning from others. These minds ultimately show their true genius once they generate their own original thinking. To give this more structure, let's apply the scientific method ((i) Formulation of a question, (ii) Hypothesis, (iii) Prediction, (iv) Testing, (v) Analysis). Is intelligence, as sharpened through others, superior to that which can be generated in relative isolation, or in a mental vacuum? Is a brain better off when it is inquisitive, constantly learning and relying/looking to others to enhance intelligence? The human brain benefits tremendously from interactions with others, especially when the brain is attracted to learning and can identify true value in personal growth. The engaged brain takes a dive into deeper realms to then address the unknown and to ultimately produce original thought. Historic and current geniuses seem to follow this mental pattern. Does the real world behave as previously hypothesized? Do all or most geniuses express a strong interest in (i) knowledge-seeking, (ii) benefit from a stimulating environment and (iii) become deeply influenced by other minds? Can this be said to contribute to their original thought? John Maynard Keynes, the British Economist who strongly contributed to the formation of modern macroeconomics and helped spur his own influential brand of economics (Keynesian Economics). His ideas are so strong and pervasive that they're still put into practice today. A smirk is more mischievous when it hides under a mustache. Easy to assume that he was a precocious child by any measure. While at Eton College, he focused his interests on mathematics, history and the arts. Originally inclined to study philosophy (can there be anything more prone to knowledge-seeking than philosophy? ), he was coaxed into Economics by his peers and mentors. Was a member and part of many knowledge-sharing clubs and societies. Keynes was born in Cambridge - so he was surrounded by academia and its erudite elements from the start. 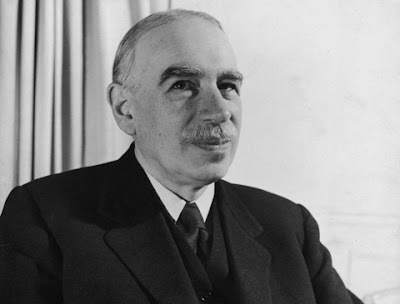 Keyne's father, John Neville Keynes, was an economist and academic. Keyne's mother, Florence Ada Keynes, was active in public service, having become Mayor of Cambridge, England in 1932. World War I, The Great Depression and World War II produced a productively intoxicating environment, where the economies falling in shambles around him made for excellent case-studies. Direct influences: Alfred Marshall and Arthur Pigou, two British Economists, which at the beginning of the 20th century, were some of the foremost figures in their respective fields. Keynes' family was no doubt influential - how could they not be? The dinner conversations were most likely vivacious, witty, if not downright all-around passionate. His mother, a social reformer and politician, and his father, an erudite professor, whose structured thinking and academic work in Economics no doubt aroused passions for the subject in his son. Other British talents arose during Keynes' lifetime, some achieving their notoriety and success in post World War II days...in literature (C.S. Lewis), politics (Margaret Thatcher), management theory (Stafford Beer) and other realms. It's not the size of the book that matters, chaps. C.S. 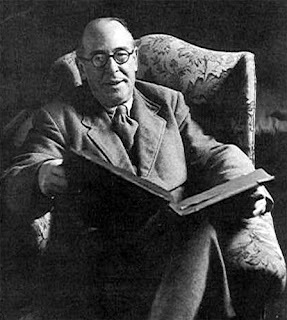 Lewis's contributions to children's literature became his claim to fame - but it was his non-fiction work that showcased his journey from atheism to becoming a Christian Apologetic. Mere Christianity, a wisely structured set of of arguments, are rife with personal conviction and inner strength. Influences through one-on-one discussions with J.R.R. Tolkien and G.K. Chesterton's "The Everlasting Man" molded his brain into a defender of the Christian faith, contributing his literary skills and mighty pen to the greater good, in part due to his influences - the result being his becoming an influence himself. Don't underestimate me. I point a good finger when I need to. 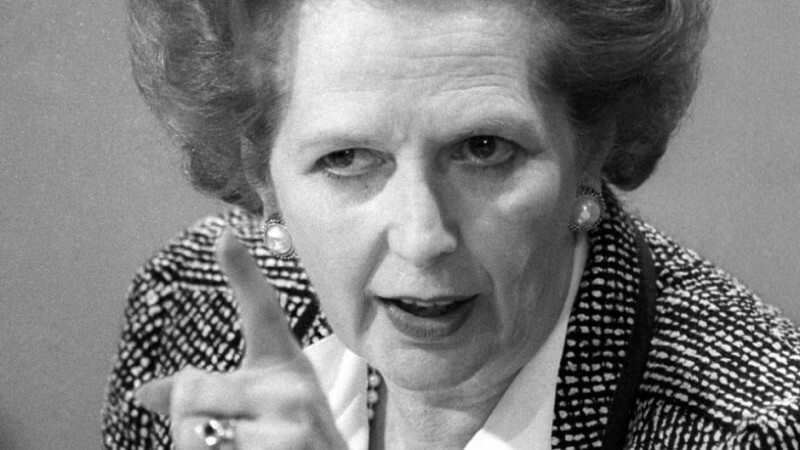 Margaret Thatcher heralded the new era of conservatism in British life, making away with the stronghold the British Unions had so vehemently defended during the 1970's and bringing in a more capitalist idealism to the United Kingdom's politics. She had been vivacious as a young woman, always ambitious, and forever influenced by her hard-working father, who owned a grocery and managed it his whole life. Politics lends itself to constant stimulation, which she no doubt had. 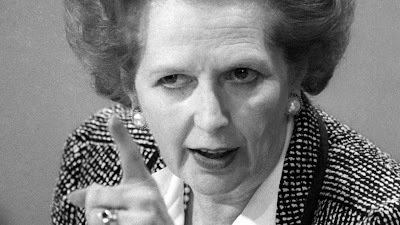 Thatcher's unlikely rise to power, impressive as it was, can be regarded as a testament to personal perseverance, in the face of unbelievable obstacles, yet completely realizable through her own brain, by "plowing through", as her father had done and as she did herself, in both her professional and personal life. I don't have a favorite beer, so stop asking. 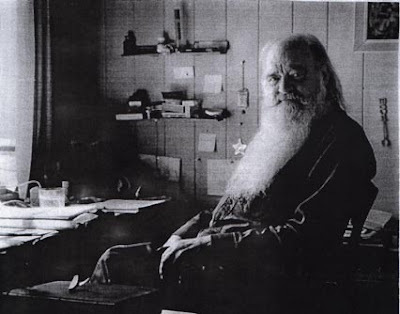 Stafford Beer, a genius in his own right, having studied the theories and ideas of Norbert Wiener's study of systems (cybernetics), became a pioneer in a field of his own creation: management cybernetics. 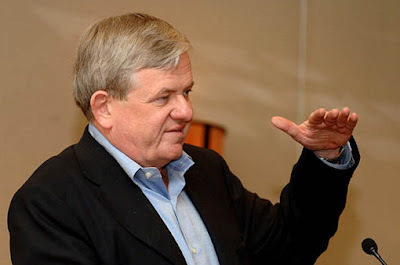 Having bee influenced not only by the deeply theoretical work of his predecessors, he also developed a more practical side to his creations, lecturing business students on how to optimize systems, and even engaging in advanced consulting work with the Chilean government. A visionary whose imagination knew no bounds - Beer was enthralled by the possibility of optimizing processes and did so until his death in 2002. These four individuals were knowledge-seeking, grew up in, and most importantly, contributed to creating stimulating environments, and lastly, were deeply influenced by others. These accounts suggest that intelligence can be nurtured and extended through proactive measures. How can laypeople emulate and aspire to further applications of intelligence, to stretch the limit of what our brains are capable of? The answer to this last question is not easy to answer - but that fact by itself is irrelevant: what matters is that each brain excels to its potential, and attempts to learn from others, in a similar fashion to what those that have already excelled have individually achieved. Or put simply - follow good examples and you'll become one. 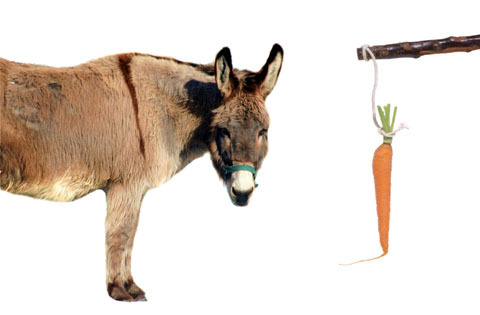 Notice how the Donkey isn't even interested anymore. I remembered a Businessweek article I read in 2009 this morning. Thankfully, the Internet stores and remembers everything (I hope I don't get to regret that thought), so I was able to find it and read it again. The article is titled: "Misaligned Incentives and the Economic Crisis". Misaligned incentives, the article explains, produce unacceptable risks. I remember that specific line in the article, mostly because it was kind of a "Duh" moment for me. It makes complete sense, to think, that misaligned incentives in the financial world, produce unacceptable risks. What doesn't make sense is how to get rid of these management flaws. When the finance game becomes perverse through juicy tempting carrots and weak and battered sticks, the players become entranced through no collective fault of their own. Their managers rationalize these reward/punishment structures, because they seem to work, and also because they blindly rely on institution-wide practices. The institution's inner workings and widely accepted managerial policies lead to collectivization and a pernicious groupthink phenomenon. All this becomes maintanable because the juicy carrot is always within reach, and is rarely sacrificed. Much later, when people start to scratch their heads and figure out how they lost so much money, it all becomes "so obvious". The caricature of a greedy money-grubbing, salivating wolf that surrounds the sub-prime mortgage lenders and real estate agents of 2008 has been well absorbed by the public. Greed is good, but too much greed got us in this mess. That's the popular line of thinking that most likely holds up with laypeople. I would have liked to have been a fly on a couple of walls right after the 2008 crisis. Witnessing passionate intellectual vindication, from experts and non-experts, with Main Street demonizing Wall Street and vice versa, and with high-profile Economists and business oriented Ph.D.'s making sense of what minutes before they would have been unable to foresee or, in some cases, would have correctly predicted, yet had failed to convince the people that mattered. Those conversations were most likely ripe with the standard projections that come from expressing personal opinions: (i) some were doing their job, (ii) others were living the American Dream, and (iii) all were innocent bystanders, victims of the nefariousness that comes with systemic risk and the market's neverending appetite for growth and future profit. Once the dust settled, the investigation began. The never ending one-word question (Why?) came forth, and the search for truth began. The culprits were found and the government responded in a couple of ways. And misaligned incentives are proving hard to correct - aligned incentives come with their own bag of tricks. But the jury's still out on how to exactly prevent "unacceptable risks", mostly because there is no such thing. Not when risk means business and lack of risk means lack of growth.